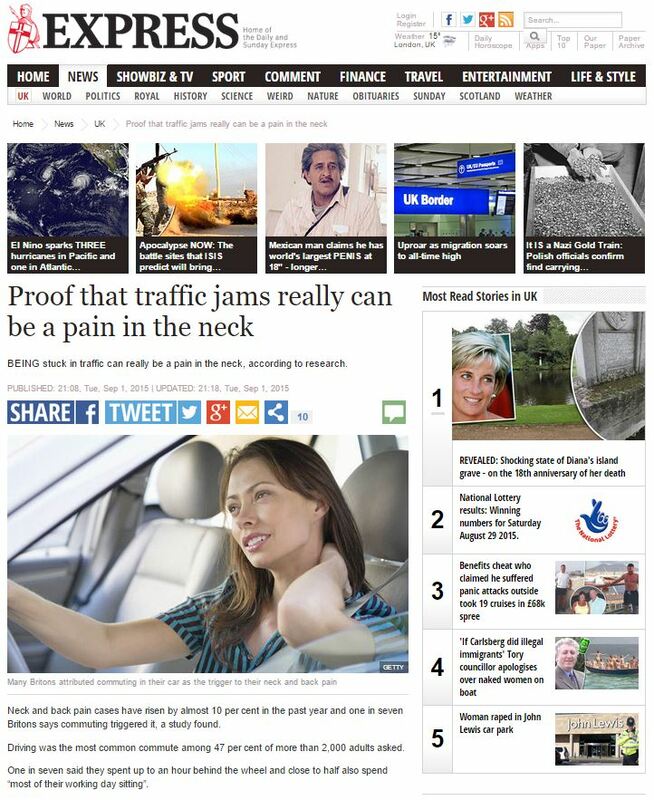 BEING stuck in traffic can really be a pain in the neck, according to research. Neck and back pain cases have risen by almost 10 per cent in the past year and one in seven Britons says commuting triggered it, a study found. Driving was the most common commute among 47 per cent of more than 2,000 adults asked. One in seven said they spent up to an hour behind the wheel and close to half also spend “most of their working day sitting”. 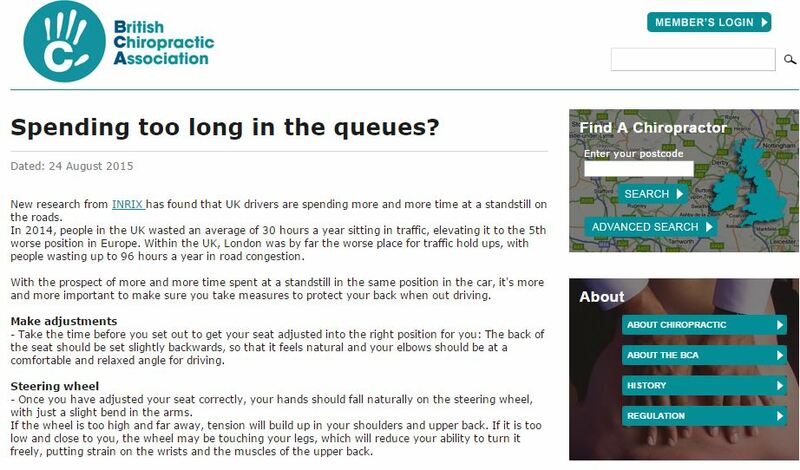 Neck and back pain is on the rise, and it’s all the fault of the many hours we spend driving, apparently… according to ‘researchers’ quoted in the Express. Just who are these fine, health-conscious researchers? The British Chiropractic Association, which carried out the research, said we are in the midst of a “sitting epidemic” damaging health. Ah, the British Chiropractic Association – the body representing people who believe that the spine has an innate energy which, if blocked, causes all disease, and that clearing those ‘subluxations’ (blockages) can treat anything from colic to deafness. Those are not quite who most people would have in mind when they think of experts in posture and health. Yet, this story is derived from a press release put out by that very same august body. No wonder even the Express didn’t feel the need to add a by-line and pretend it was written by one of their own. The Association recommends professional help for pain lasting a few days which could become long-term. I agree with the BCA – people who are finding they have pain lasting a few days ought to perhaps seek professional help… which ought to preclude their visiting any purveyors of quack medicine like chiropractic, for starters. This entry was posted in British Chiropractic Association and tagged british chiropractic association, daily express, Rishi Loatey on September 2, 2015 by Michael Marshall.